Suggested new changes to the how heritage is protected have been put out to consultation in the last couple of weeks. I have read the National Trust response and it makes some very interesting observations about heritage protection in this state. It seems that the Minister for Planning will stop at nothing to undo years of hard work by Councils and organisations like the National Trust. With little or no evidence to support the government view it seems they will push on until they get their way. 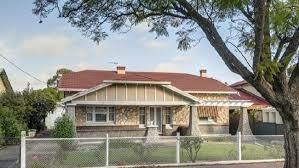 As an example heritage listed properties will have to be rare or unique to be listed. So what happens to Millswood's heritage protection that has kept the western side largely in original condition? None of the buildings are unique, all are contributory and will have no protection. All the work of Council to protect these areas will be gone.